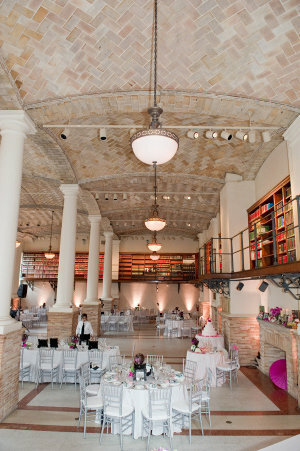 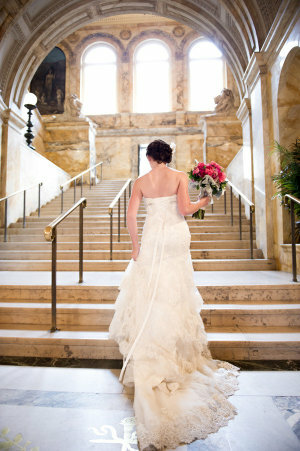 Melissa & Reese had a gorgeous wedding at the Boston Public Library that was featured on Style Me Pretty. 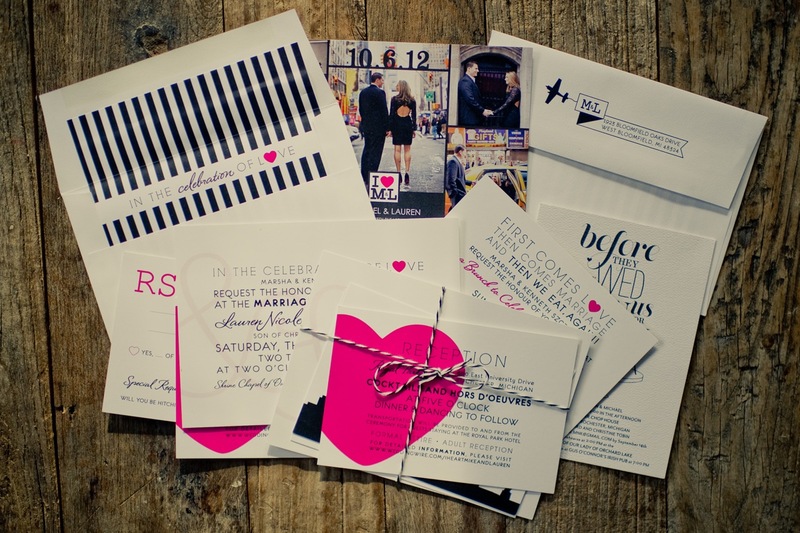 Invitations and artwork for table numbers and misc reception signage was designed by Custom Paper Works. 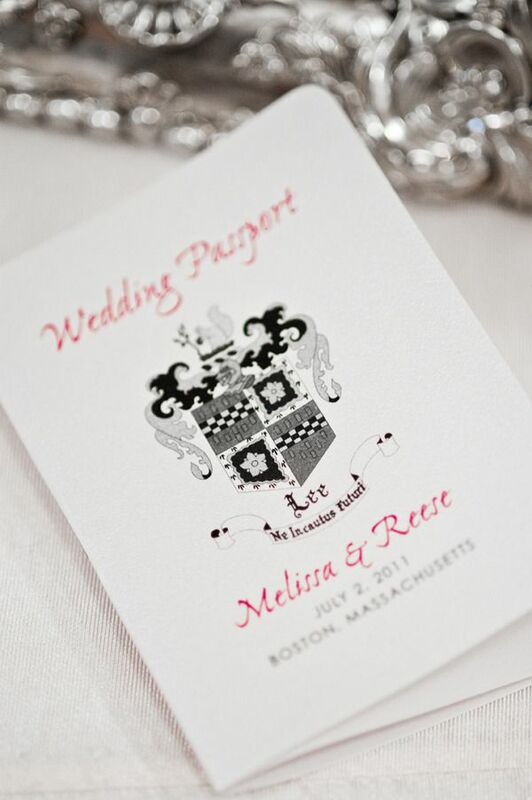 Their passport invitation featured a family crest from the groom’s family. 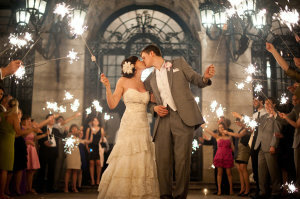 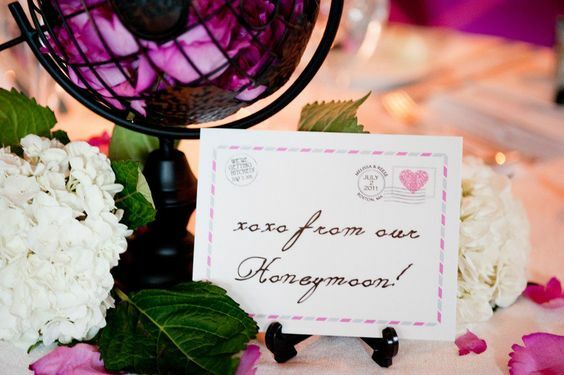 See more of their gorgeous wedding on Style Me Pretty here! 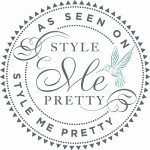 Photos by Style Art Life.